Happy National Quilt Day! This is the 25 year anniversary – so we are celebrating with this quirky little quilt in a class at The Masquerade. These kits will be for sale soon online. Happy quilting! A very quick look at paper piecing a block. Just a “stepping stone” to an entire quilt. Three blocks together make a unit – 12 units make the center of the quilt. Add a boarder and you are done! All you need is the paper pattern, rotary cutter, add a 1/4″ ruler, plastic template, fabric glue, an iron and of course your sewing machine. 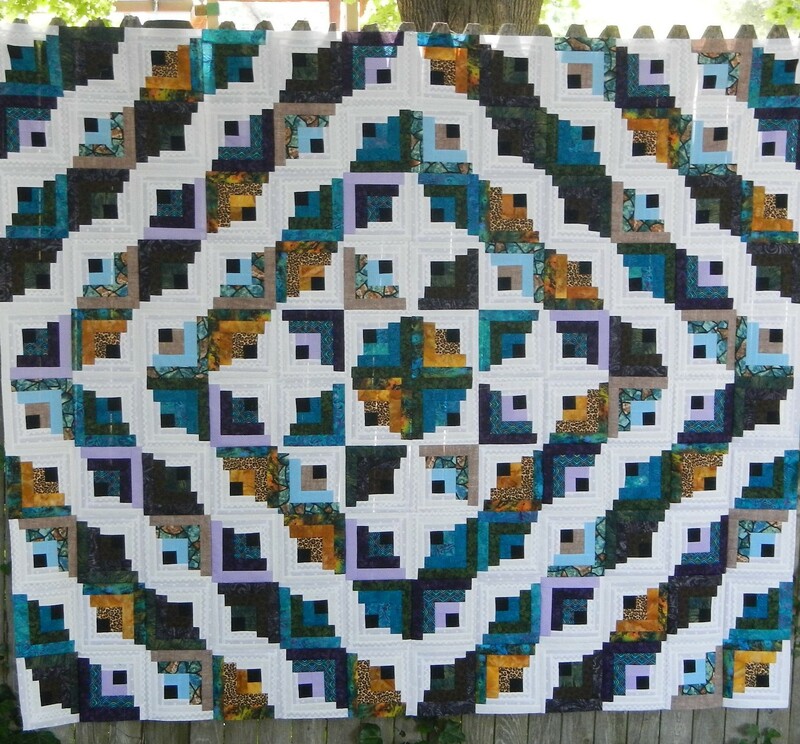 This pattern is available at QuiltWorx.com – it’s called Stepping Stones! Have fun!